Is the Verzo Kinzo The Next Droid Killer? 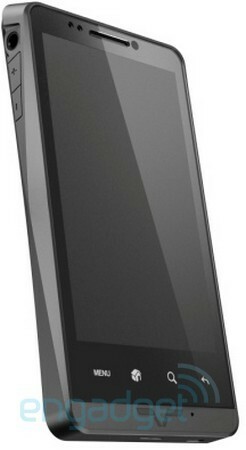 A stealth black two-tone frame houses what seems to be a 4-inch capacitive touchscreen LCD. Menu, Home, Search, and Back haptic feedback controls line the bottom of the display while a compact volume rocker panel is embedded along the top left edge of the phone, beneath the 3.5mm audio jack. 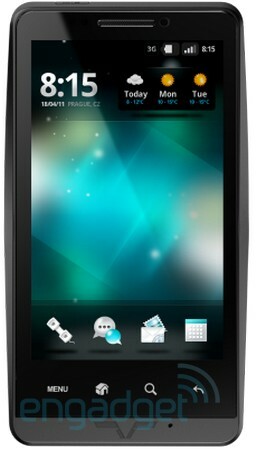 An OS that seems to be a restyled Android scheme is highlighted on the screen. Is this the Motorola Droid X 3? No. It’s the Verzo Kinzo. What the hell is a Verzo Kinzo? Well, this could be big, or it could turn into a dud, but apparently a new Android challenger has stepped into the arena, and the company is called Verzo. The company’s flagship phone is reported to be called the Verzo Kinzo, and Engadget has allegedly gotten their hands on the said model. From what we can see, there are no distinguishing factors that set the phone apart from the rest of the typical Blandroid warzone, aside from the fashionable Verzo logo that looks strikingly similar to a Versace emblem. At the moment, we’re in the midst of quite the caper. Where did Verzo come from, and why now? What does this Kinzo character have to offer that the rest of the Android market doesn’t? I will say that at this stage, the Kinzo better be stocked with a quad-core processor, 4GB of RAM, a 10-megapixel camera with back-illuminated CMOS sensor, and advanced NVIDIA graphics if it wants to trounce the competition. Otherwise, Verzo may drift out as quietly as it drifted in. So Verzo, a European company that has their phones built in Taiwan, is stepping into the saloon and timidly placing its hands on the bar to notify the bartender of its presence. Verzo is not kicking the door down with brute force and challenging every rough and tumble character in the saloon. But they could be the quiet type that turns into the Incredible Hulk when provoked. We’ll just have to wait until September to see.